This project was inspired by The Hungry Planet, a book that documents the amount of food and money spent by families all over the world. Considering today’s economy woes I am adjusting my budget. Groceries and dining are the big expenditures. Here in the U.S. and most developed countries, I have access to largest variety of food all year long. This access lead me to begin exploring the cost of out of season eating. The combination of technology and wealth has provided the market and expectation of the availablility of seasonal fruit or vegetables all year long. There are some countries that benefit from exporting food all year round. The unsavory side is the labor practices of harvesting and environmental impact of the transportation. For "Consume" I took a single dish, the Cobb salad and researched the path(s) of each ingredient from origin to its arrival in New York City. 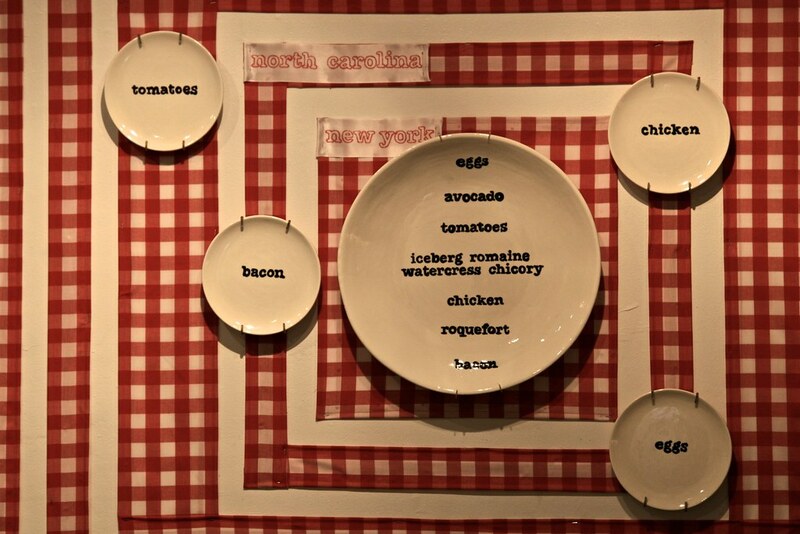 The result is a table installation representing the distance and the carbon impact of each of ingredients of the salads. 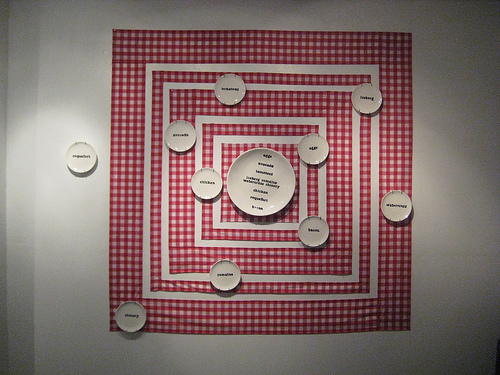 The installation represents the paths for March. 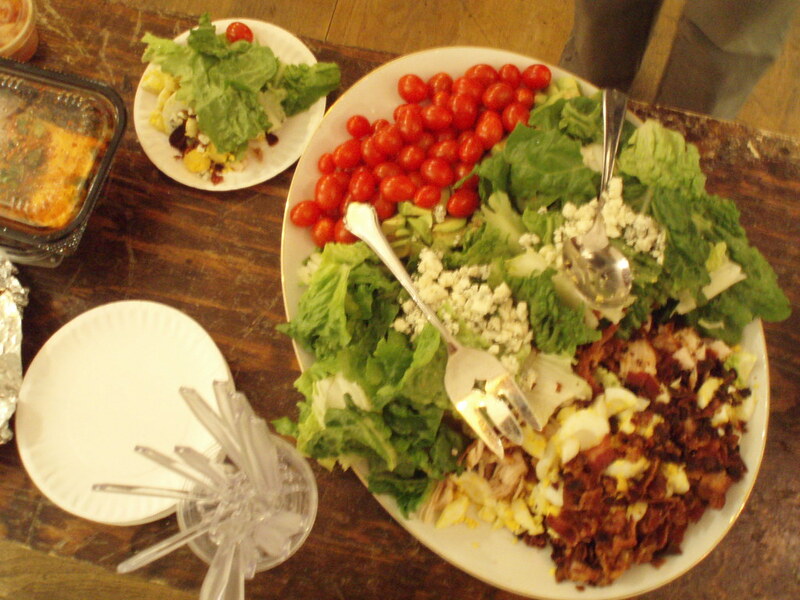 Each week a variation on the Cobb Salad is created depending on the store where the items are purchased. My intent is to explore how my everyday choices could impact beyond my immediate community. This piece is a first step in a bigger project. The the goal of the project is to create a resource where a user chooses a recipe and gets a data visualization of the path and economic cost of easy ingredient. They will get a recommendation of the best time of year to make the dish. Eventually, people will be able to submit their own recipes and create their own geo tagging and tracking for their recipe. 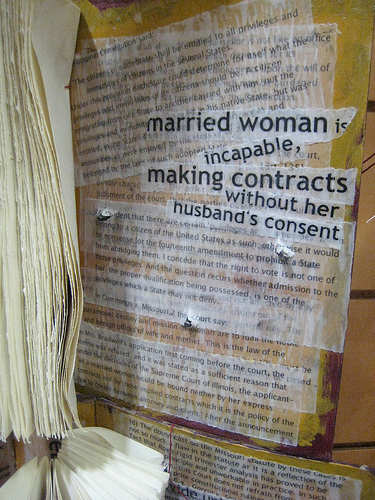 "Consume" was developed in the winter of 2009 in a residency call Wonder Women. The theme for the residency is Money Money Money! 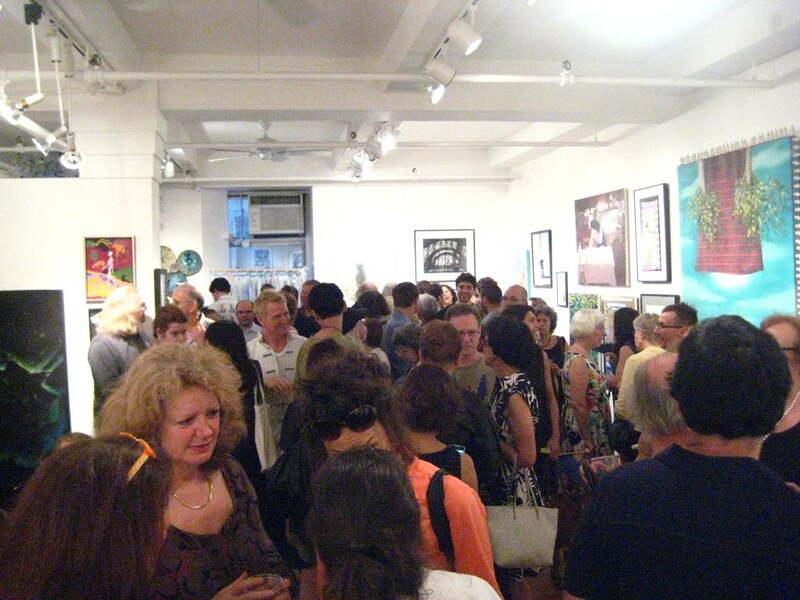 Bottledproject's fourth installment is Bottled V.3 in the WATER show at the Atlantic Gallery. Bottled V.3 focuses on the statistic that it takes 3 liters of wastewater to produce just one plastic liter bottle. 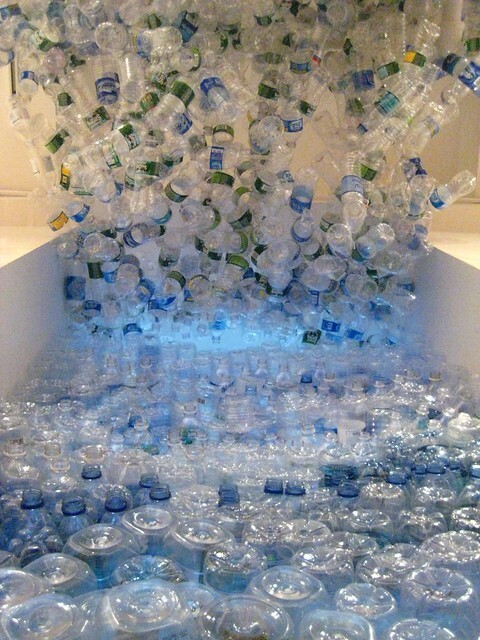 The waves reference all the water lost to create each plastic bottle. The average four-person American family drinks 460 liters of bottled water a year. This results in 1380 liters of wastewater being used to produce those 460 bottles of water. The bottles in the installation are stacked or strung. There is no adhesive during the construction of the installation so that the bottles remain recyclable. Each plastic bottle was available for purchase of $1 and agreement that you will either recycle or upcycle the bottle. Dissent looked at nine U.S. Supreme Court decisions regarding Women's Right where a law was passed by only narrow majority of one. The books are layered with the opposing judges dissenting statements. 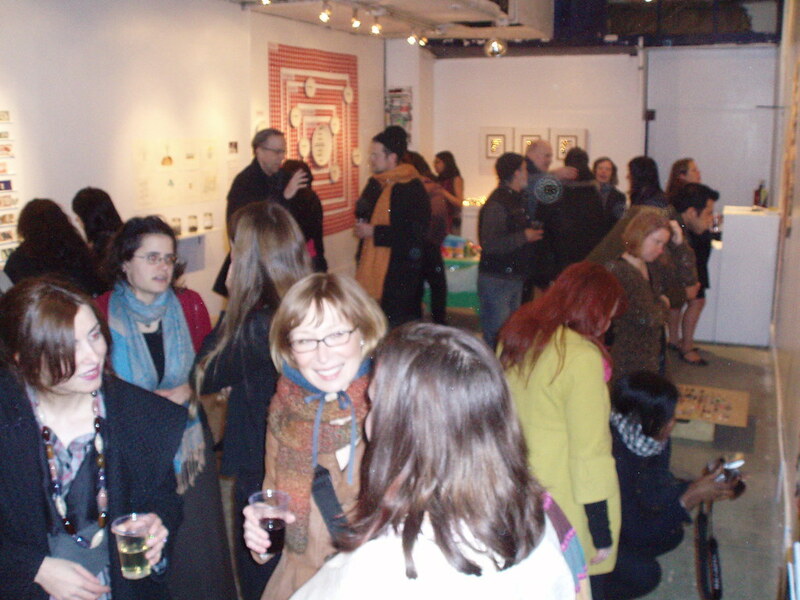 I was invited to participate in the 14th Annual Book Arts Symposium at Rutgers University in Newark in 2008. Dessent was in response to the show's theme Resistance. 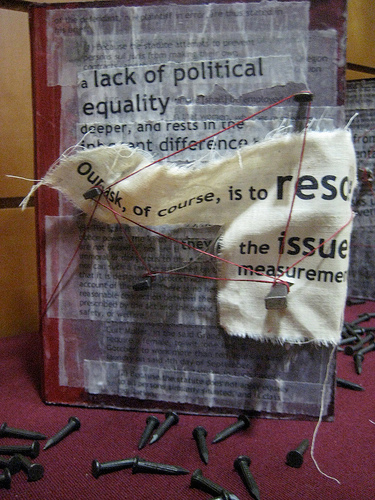 ScrapCycle was created by Dr. Marie Evelyn as a part of Analogous Projects. Dr. Evelyn is one of the co-founders of the Analogous Projects. ScrapCycle is an ongoing project devoted to the creative reuse of refuse, and charges a piece of refuse for reuse as the price of admission. I was fortunate to be chosen as their 2008 sponsored artist. 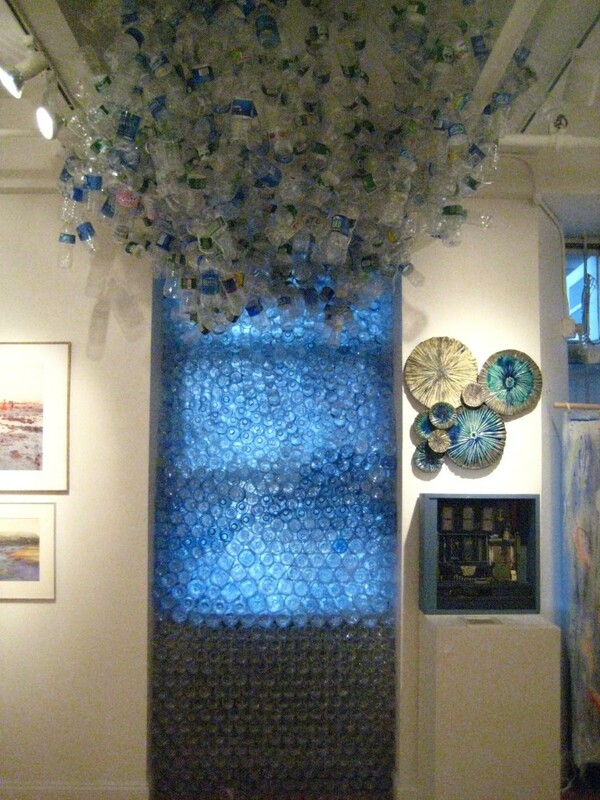 Since my installation art uses discarded water bottles, the admissions to their performances that year were used plastic water bottles. 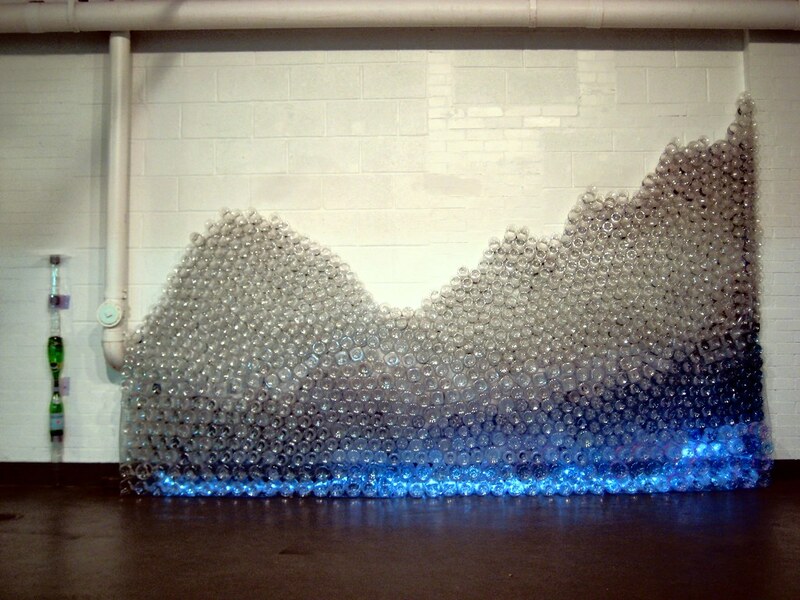 It is because of ScrapCycle’s support that I have been able turn BottledProject into an ongoing series of installations. 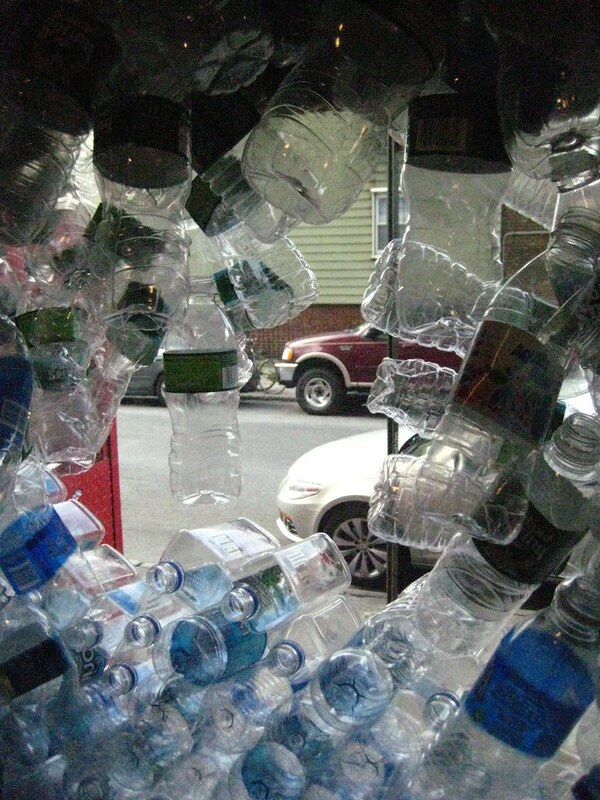 My concept for the REUSE/RECOMBINE exhibition is to represent a waterfall out of the water bottles. The inspiration for this piece came from Michelle Loughlin's Waterfalls. Her piece was a response to seeing trash in nature. A colleague of mine, Marianne Petit said the piece reminded her of a grade school trip to "nature" where they went see waterfalls and there was big tire. The combination of these two influences lead me to reevaluate the advertising for bottled water. The plastic bottle is a symbol of controversy It the first worlds it a status symbol of health and wealth paying 1,000 times more than for tap. In third worlds it is a one of the leading causes of pollution. In 2002, approximately 31% of soda bottles were recycled, while only 11% of water bottles are due to lack of deposit required on water bottles. This is shocking when you consider that bottled water is the second most popular beverage to soda. 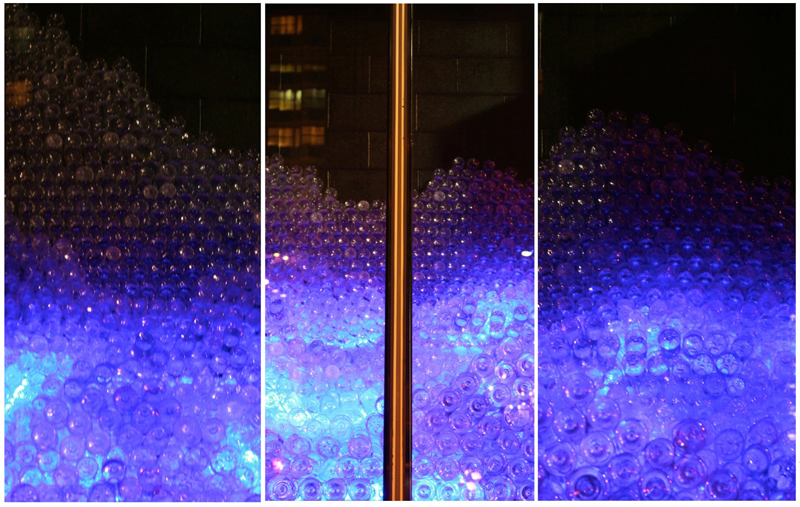 I created the first iteration of the sculpture to reference the Hudson river waves. For Bottled V.2, I had the wonderful the opportunity to collaborate with Jersey City Museum and the students of Jersey City Schools. 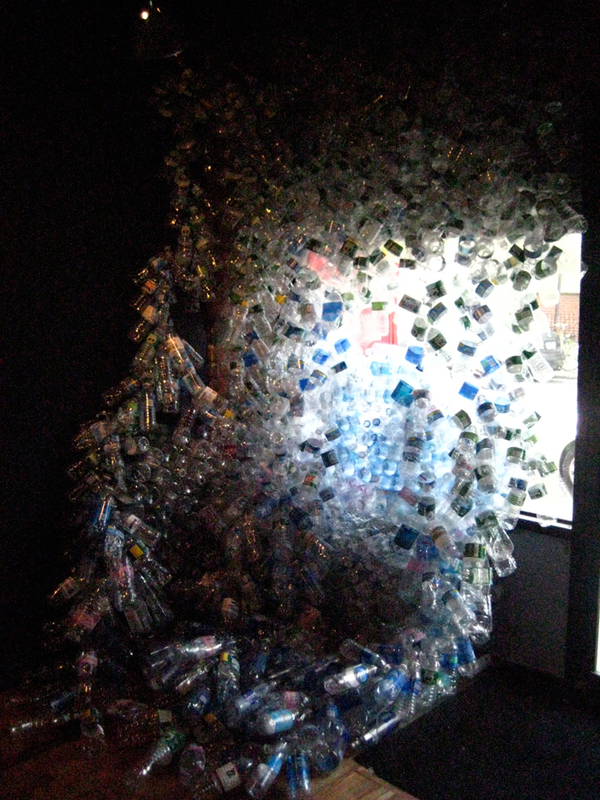 We worked together to collect over 2000 bottles to create the bottled V.2 installation. The students decided to create a skyline similar to the downtown district. The sculpture was on display at the Jersey City Museum Satellite Sculpture Center at Mack-Cali building on Christopher Columbus Drive in downtown Jersey City. Bottled V.2 ran from January - August 2010. 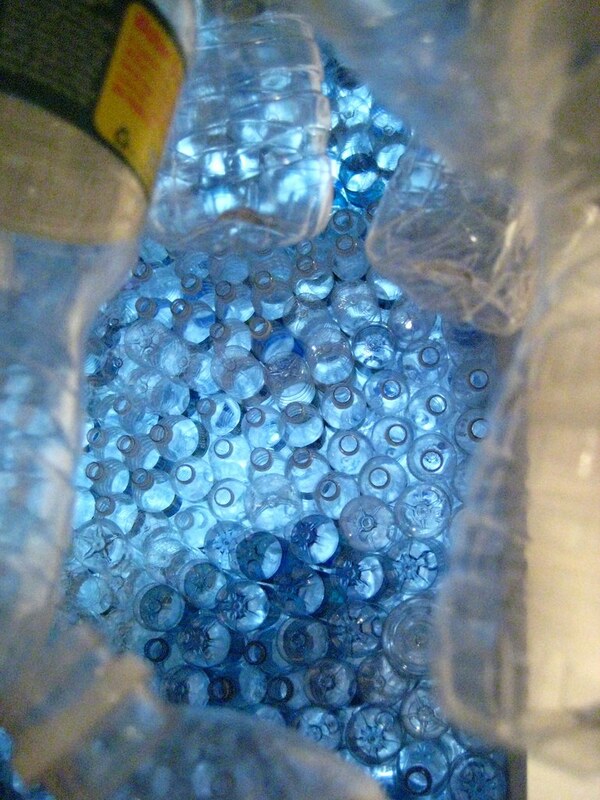 Bottled V.1 is an installation created out of 1098 discard water bottles. This is the amount of bottled water I drank in a year. The highlight portion of the sculpture emphasizes that only 10% of most discard water bottles are recycled. Bottled V.1 was conceived and developed during the 2008 Wonder Women Residency. The theme was World War III. Bottled V.1 came out of my experience in the aftermath of 1999's Hurricane Floyd which left those of us in Greenville, NC without safe tap water for several months.